Q. I have the title or citation of an article that I need. How do I find it? If you have the full citation you can use the citation linker on the Journals tab. You can also use the search box on this tab to search by Journal title to see which databases contain that journal and which years. See this video clip for a demonstration. 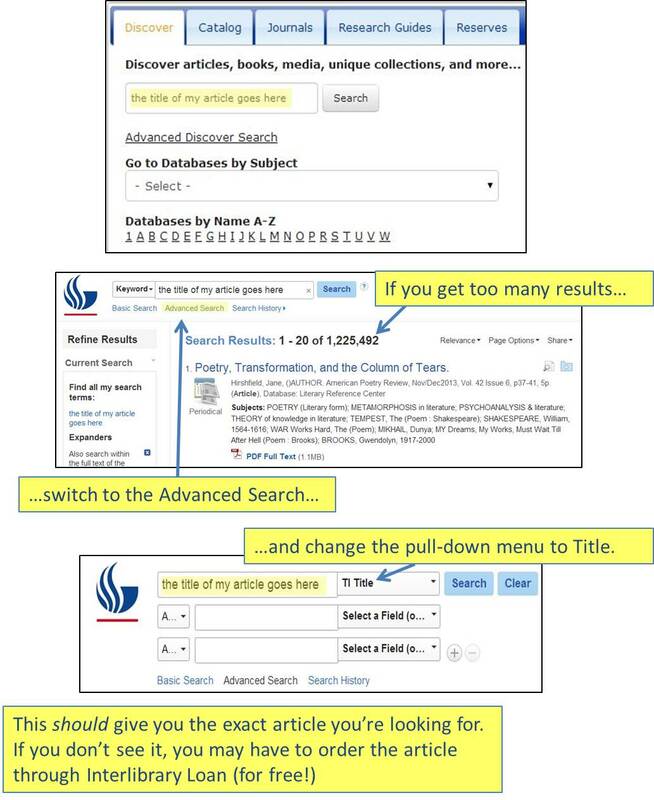 If you only have the title enter it into the Discover search box on the library homepage and click “search”. If none of these options work, you may need to place an Interlibrary Loan or you can ask a librarian for help.